NASA’s Lunar Atmosphere and Dust Environment Explorer (LADEE) spacecraft is gradually lowering its orbital altitude to continue making science observations prior to its planned impact on the moon’s surface on or before April 21. Ground controllers at NASA’s Ames Research Center in Moffett Field, Calif., are maneuvering the spacecraft to fly approximately 1 to 2 miles (2 to 3 kilometers) above the lunar surface to gather science measurements at the lowest altitude possible. A final maneuver will ensure LADEE’s trajectory will impact the far side of the moon, which is not in view of Earth or near any previous lunar mission landings. Ground controllers have little room for error with LADEE’s navigation system, and at these low orbital altitudes, a small error could mean the difference between continuing to orbit above the lunar surface and impacting it. Because of this, the team does not intend to target a specific impact location on the moon’s surface. Until mid-April, ground controllers will continue to fire the LADEE altitude control thrusters once a week to keep the observatory in its target orbit. On April 11, LADEE will perform its final orbital maintenance maneuver before the total lunar eclipse on April 15, when Earth’s shadow passes over the Moon. This eclipse, which will last approximately four hours, exposes the spacecraft to conditions at the limits of what it was designed to withstand. After the eclipse, ground controllers will determine how well the spacecraft is functioning. If it is healthy, LADEE will continue to acquire and transmit science data, as longs as its altitude and contact with ground controllers allow. Launched in September 2013, from NASA’s Wallops Flight Facility on Wallops Island, Va., the vending-machine size spacecraft has been orbiting the moon since Oct. 6. On Nov. 10, LADEE began gathering science data, and on Nov. 20, the spacecraft entered its science orbit around the moon’s equator. LADEE has been in extended mission operations following a highly successful 100-day primary science phase. “Because the LADEE team has flawlessly performed every maintenance maneuver, they’ve been able to keep the spacecraft flying in its proper orbit and have enabled this amazing mission extension and science to continue up until the very end,” said Joan Salute, LADEE program executive at NASA Headquarters in Washington. LADEE’s three science payload instruments have been working to unravel the mysteries of the moon’s atmosphere, acquiring more than 700,000 measurements. In its previous orbit, LADEE’s closest approach to the lunar surface was between 12.5 and 31 miles (20 and 50 kilometers), and its farthest was between 47 and 93 miles (75 and 150 kilometers) – a unique position that allows the spacecraft to frequently pass from lunar day to lunar night every two hours. This vantage provides data on the full range of changes and processes occurring within the moon’s tenuous atmosphere. Scientists hope this data will help answer a long-standing question: Was lunar dust, electrically charged by sunlight, responsible for the pre-sunrise glow detected during several Apollo missions above the lunar horizon? LADEE also is gathering detailed information about the structure and composition of the thin lunar atmosphere. A thorough understanding of these characteristics of our nearest celestial neighbor will help researchers understand other bodies in the solar system, such as large asteroids, Mercury, and the moons of outer planets. Launched in September 2013, from NASA’s Wallops Flight Facility on Wallops Island, Va., the Lunar Atmosphere and Dust Environment Explorer (LADEE) is a robotic vending-machine size spacecraft that has been orbiting the moon since Oct. 6. On Nov. 10, LADEE began gathering science data, and on Nov. 20, the spacecraft entered its science orbit around the moon’s equator. LADEE has been in extended mission operations following a highly successful 100-day primary science phase. Scientists hope to address a long-standing question: Was lunar dust, electrically charged by sunlight, responsible for the pre-sunrise glow detected during several Apollo missions above the lunar horizon? LADEE also is gathering detailed information about the structure and composition of the thin lunar atmosphere. A thorough understanding of these characteristics of our nearest celestial neighbor will help researchers understand other bodies in the solar system, such as large asteroids, Mercury, and the moons of outer planets. NASA’s Science Mission Directorate in Washington funds the LADEE mission. Ames has been responsible for spacecraft design, development, testing and mission operation, in addition to managing the overall mission. Goddard manages the science instruments and technology demonstration payload, the science operations center and provides mission support. Wallops is responsible for launch vehicle integration, launch services and operations. NASA’s Marshall Space Flight Center in Huntsville, Ala., manages LADEE within the Lunar Quest Program Office. How low is the LADEE spacecraft orbiting the moon? The LADEE spacecraft is gradually lowering its orbital altitude to continue making science observations prior to its planned impact on the moon’s surface on or before April 21. Ground controllers at NASA’s Ames Research Center in Moffett Field, Calif., are maneuvering the spacecraft to fly approximately 1 to 2 miles (2 to 3 kilometers) above the lunar surface to gather science measurements at the lowest altitude possible. 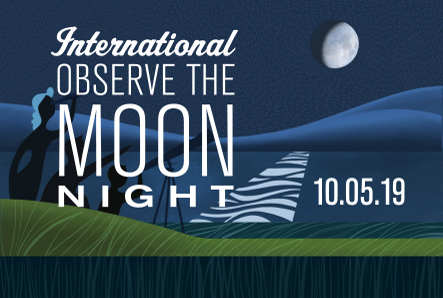 When is the LADEE mission scheduled to impact the moon? Is it planned? Yes, NASA plans to impact the LADEE spacecraft into the surface of the far side of the moon on or before April 21, 2014. If LADEE impacts before April 21, would some consider that a failure? LADEE has achieved full mission success, meeting all goals and objectives early in March, 2014. Additional science data are being acquired even now, while LADEE swoops low over the lunar terrain. This extra science is a bonus, far more than is required or was originally designed for. An early impact, while unlikely, would not affect the complete success of the mission. Ground controllers have little room for error with LADEE’s navigation system, and at these low orbital altitudes, a small error could mean the difference between continuing to orbit above the lunar surface and impacting it. Because of this, the team does not intend to target a specific impact location on the moon’s surface. The moon’s gravity field is so lumpy, and the terrain is so highly variable with crater ridges and valleys that frequent maneuvers are required or the LADEE spacecraft will impact the moon’s surface. Even if the spacecraft were to perform all maneuvers perfectly, there’s still a chance LADEE could impact the moon sometime before April 21. Will the impact destroy the moon or affect its orbit? No. The moon’s “face” is a result of impacts throughout the moon’s life. The lunar surface has withstood many impacts by much larger, much faster objects. The moon is constantly bombarded with meteorites and space debris. On average, the moon receives a LADEE-sized impact every month. Will the moon look different after the impact? No. The moon will not look any differently than it does today. Can I see the impact online? Live on TV? No one will be able to see anything around the LADEE impact. On April 11, the spacecraft will perform a final maneuver to ensure LADEE’s trajectory will impact the far side of the moon, which is not in view of Earth or near any previous lunar mission landings. Will the LADEE impact contaminate the moon? At the time of impact, the spacecraft will have used all of its fuel. During impact, the LADEE spacecraft will crumple and break apart. Most of the spacecraft’s material will heat up several hundred degrees during impact and stay within about 20 meters of the impact crater. Any unspent rocket fuel (primarily hydrazine) most likely will burn upon impact. Lunar Prospector scattered human ashes on the moon’s surface when that spacecraft impacted. Are there any ashes on LADEE? Lunar Prospector carried a small amount of Eugene Shoemaker’s ashes to the moon. Shoemaker was a planetary scientist who contributed greatly to our understanding of the moon. He died in an auto accident in 1997. Some of his ashes were carried to the moon as a tribute to his lifetime of outstanding work. Since then, NASA has become more aware of the importance of the moon has to people of many cultures. Because of this new appreciation of various cultures, LADEE will not carry human remains. Will the Hubble Space Telescope or any Earth-based telescopes be able to see the impact? No. The LADEE project anticipates that the spacecraft’s impact won’t be bigger than those of Ebb and Flow spacecraft (part of the GRAIL mission), which were invisible even to a sensitive Infrared imaging radiometer aboard NASA’s Lunar Reconnaissance Orbiter. Are there plans to search for the LADEE impact site? Yes, NASA’s Lunar Reconnaissance Orbiter may be able to find the LADEE impact site in the coming months. How close to the lunar surface did LADEE orbit? What happens to the LADEE observatory after the mission ends? The spacecraft will impact the moon as it does not have enough fuel to escape its lunar orbit. Can the public still get involved in the mission? When will it impact the lunar surface? NASA wants to hear your best guess! LADEE mission managers expect the spacecraft will impact the moon’s surface on or before April 21. On April 11, ground controllers at NASA’s Ames Research Center in Moffett Field, Calif., will command LADEE to perform its final orbital maintenance maneuver prior to a total lunar eclipse on April 15, when Earth’s shadow passes over the moon. This eclipse, which will last approximately four hours, exposes the spacecraft to conditions just on the edge of what it was designed to survive. This final maneuver will ensure that LADEE’s trajectory will impact the far side of the moon, which is not in view of Earth and away from any previous lunar mission landings. There are no plans to target a particular impact location on the lunar surface, and the exact date and time depends on several factors. LADEE’s mission marked several firsts. It was the first demonstration of Optical Laser Communications from space (sent data six times faster than radio), and the first deep space spacecraft designed and built “in house” at NASA’s Ames Research Center. It was also the first payload to launch on a U.S. Air Force Minotaur V rocket integrated by Orbital Sciences Corp., Va., and was the first deep space mission to launch from NASA’s Goddard Space Flight Center’s Wallops Flight Facility on Wallops Island, Va., when millions watched the night launch on Sept. 6, 2013. 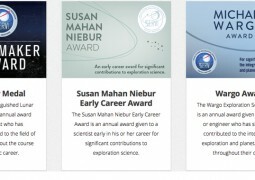 SSERVI will present these awards at the Exploration Science Forum on July 20th. The moon is not round, but slightly egg shaped with the large end pointed towards earth.